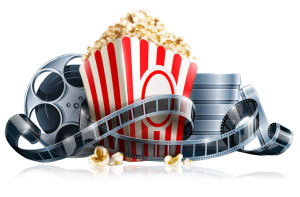 Are you fascinated by movies? Have an idea for a screenplay? This is your chance to submit an original screenplay to the Screenwriting Contest sponsored by the Redwood Writers branch of the CWC. Write a screenplay for a full length film or TV pilot. This is approximately 100 pages; each page of script equals one minute of film time. However, we ask that you submit only the first ten pages of your script plus a one page synopsis. The first-place story is published in winners’ flier. Close: Tuesday, June 27, 2017, at 9 p.m. He worked on many national television programs for KQED, The Smothers Brothers show, and Wide World of Sports, as well as short films and television commercials. Stephen travels extensively and has served on several juries of international film festivals. Frank Baldwin is a screenwriter living in Southern California. He’s written screenplays for Paramount, Dreamworks, Tri-Star, Fox, and Studio Canal, as well as for independent producers. He’s also a novelist. His first novel, Balling the Jack, was published in America by Simon and Schuster, in Great Britain by HarperCollins UK, and in Germany by Rowohlt Verlag. Balling the Jack was a Barnes & Noble Discover Great New Writers selection. His second novel, Jake & Mimi, was published in America by Little, Brown, in Germany by Rowohlt Verlag, and in Brazil by Geracao. Contest Chairwoman: Osha Belle Hayden, M.A., C.L.C. 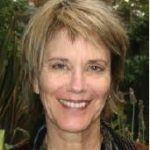 Her writing has been published in the 2011, 2012, and 2015 volumes of the Vintage Voices Anthology, and in Times They Were A-Changing: Women Remember the ’60s & ’70s, and in Poems of Joy, a multimedia apple iBook. She appeared on stage in 2011 in “The Ticking Clock” at the Sixth Street Playhouse in Santa Rosa. DO NOT place your name or contact information anywhere on your screenplay submission. This is a blind judging. Put “Screenwriting Contest” in the subject line. Use Standard Screenplay Format. Submit as a PDF. Format: Manuscripts must be single-spaced and use 12-point, Courier font. Number the pages, upper right. 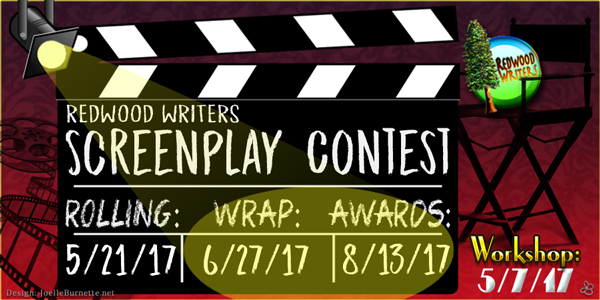 Upon submission, if you choose to pay with a check, please make check out to “CWC Redwood,” and write “Screenplay Contest” on the memo line.